Build a Well — H.E.A.L. Clean Water is everything for the health and survival of these children. The UN World Food Program recently reported that Haiti is suffering an extreme drought causing severe water shortages, poor harvests and high food prices. The drought is in its third year and as a result the well at FEH's Village of Hope has run dry. The cost of bringing water to our kids from other sources is enormous. Now, the teens of West Chester PA and Henderson High School have committed themselves to helping the Village of Hope provide clean water to the orphanages. Clean Water is everything for the health and survival of these children. H.E.A.L. is committed to building a well for USFCH's Children's Village, the orphanage's well has run dry. As the world spins, I see my kids struggling with hours of homework, struggling to find what once was their bedroom floor, struggling with the tug of their electronics as I “force them” to practice piano and saxophone, I get lost in the hub bub like other many other moms. A pet peeve of mine, which I suspect occurs regularly in houses across my neighborhood, goes like this: Son A runs the shower, and while waiting for the water to get hot, he forgets that the water is on. For 8 full minutes he is digging through Halloween candy, chasing his sister down after realizing she too had rummaged through his candy, meanwhile…what was he about to do? Oh! The shower! It happens, right? Just pay the higher water bill. No further thought required. It is hard to appreciate how confortable I had become with my privilege when I am surrounded by it, I grew up in it, and really never depart from it. To battle the phenomena of suburban bubble fuzzy-headedness, every year I go to Haiti for a medical service trip. Since my first year I have been bringing my children with me. After seeing, breathing, experiencing Haiti, I often think, how many material items can I eliminate from my children’s lives to get to where a Haitian child exists in our parallel universe? On my first trip to Haiti I met Tattoo. Tattoo is Haitian, he is 8, but the size of an American 5 year old. He is a cheerful, outgoing, rambunctious child. No natural parents around, no Halloween candy, no tiled bathroom with fluffy towels, he lives with a family of 84 other children and lucky to have the orphanage that he lives in. For had this orphanage not been here, Tattoo would have lived in a cinderblock hut with an aluminum roof and a dirt floor, no reliable meals, no electricity, no running water, a hole in the ground to call a bathroom, no shoes, one or two shirts to dress in, and no future. The only hope to hang on to is mere survival, mere existence. But he made it to Village of Hope. Though it is sad not to have a Mom or Dad, he has a home where there are beds, a floor, a roof, a school, and hired housemothers to hug all 84 children. But hope does not become a reality without the adults who build it. Hope has a creator, someone who cares, and sees it through. The United States for the Children of Haiti, a foundation that started with a nurse who did not stand by and allow abandoned, disabled, impoverished children to sit in the dirt only to exist and suffer. Gladys Tomas and the foundation built a school, a hospital, 3 orphanages and this charity does not stop. Once you see the desperation, then you see the results born out of the efforts to lift a child from the dirt, it becomes an obsession. USFHC continues to build and repair, provide healthcare and wheelchairs, helping children who were just unlucky enough to be born into a place that is Haiti. 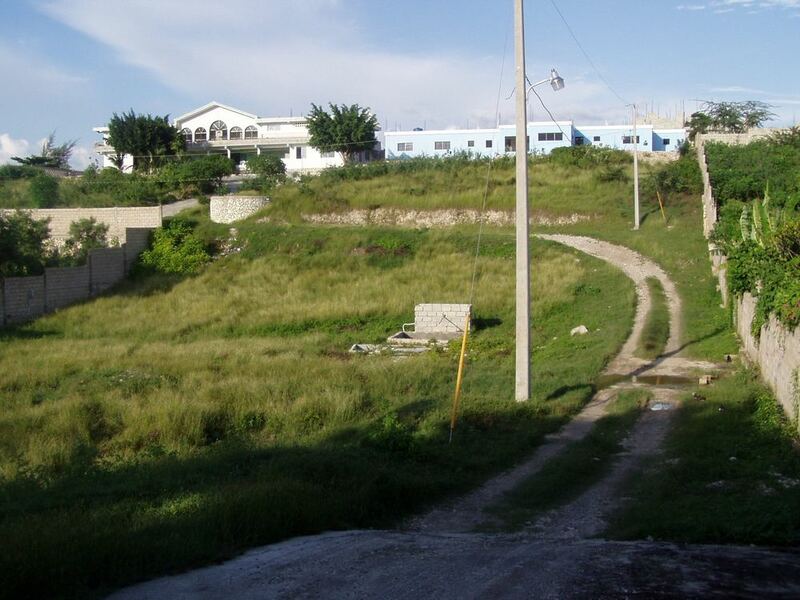 The Village of Hope, Village d’Espoir, houses 2 orphanages side by side. One dormitory is for children with disabilities, and one for children who are able bodied. They share a well that has run dry. Clean water, running water is EVERYTHING. 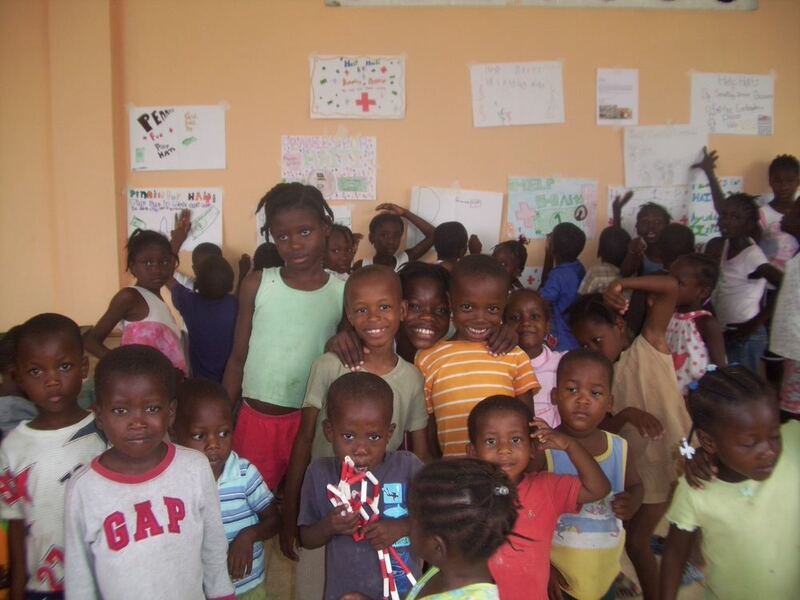 The cooking, the hydration, the health, the sanitation, clean clothes for these 84 children requires water. The tap is dry. For now a water truck is brought in daily, but this comes with a price. Up to 3 trucks per week is required costing $300 to $500 per week. This price tag stops the progress of the outreach, as resources are simply going to the one resource, water, that we so easily take for granted in the USA. So, let us build a well. Why wouldn’t we? My 15-year-old daughter Ella and I, in conjunction with USFCH and the NPO H.E.A.L., want to build a new and lasting well. Ella is a very important part of this. We are working to motivate youth here in West Chester PA to feel a connection with youth across the world. This is a simple, yet a very impactful goal of building a well. Clean water will help some of the most vulnerable humans in the world. It will happen from child to child, and adult to adult, US humans to Haitian humans. Gladys Thomas is working with the plans for the water, I want to ask everyone I can to send in few dollars and we will make this happen. All donations are tax deductible via the 501c3 organizations. We had set of goal of $10,000 and every dollar helps.